Homeowners who are looking to improve the appearance of their homes increasingly choose vinyl siding. As a premier siding contractor Woodbridge VA, we understand what drives a customer to choose this type of siding. Here are some of the reasons why this choice is so popular and is likely to stay that way for a long time. No one wants to spend money on some sort of siding installation and have to repeat the entire process after a few years. That’s why vinyl siding is such a great choice. The material is durable and made to last for decades. Even if there is some type of catastrophic event that causes some damage, it’s usually easy to arrange for a quick siding replacement and restore the home to its former glory. In terms of normal wear and tear, we show our clients how it holds up well to sun, wind, rain, and even kids who may accidentally bounce a ball off the side of the house. After we point out how durable the material happens to be, it’s usually time to move on to the other advantages. The range of colors available from the typical siding contractor Woodbridge VA is impressive. A client can find something to fit just about any style of home and certainly any color preference. That’s true for the vinyl trim as well as the panels. Textures also come in a wide range of choices. The vinyl may have the look and texture of stained wood. It can also look like painted wood. There are even options that look a bit like brick or stone. The look and texture will be so close that some people won’t be able to tell the difference. Homeowners who want something that requires minimal maintenance and upkeep will definitely want to look into a vinyl installation. The color holds up well for a long time, so there’s no need to repaint it every few years. Cleaning is easy too, since most grime will slide off by using the garden hose. 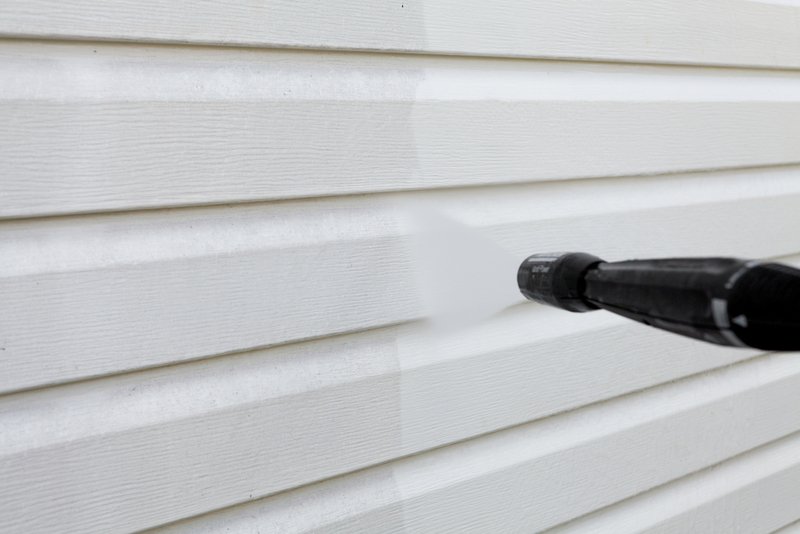 For tougher grime, a pressure washer on a low setting will be just right to leave the siding looking like new. If there is some major event that damages a panel or two, it’s easy enough to call us and arrange for a partial siding replacement. We can match the color and texture so the new panels blend in with the old ones. One point that our siding contractor Woodbridge VA usually points out is the impact that high-quality vinyl siding has on heating and cooling bills. The siding siding installation includes applying a thin layer of insulation to the exterior wall before attaching the siding sections. That effectively fills any tiny cracks that may be allowing air to seep in from outside. The result is that the home is tighter and it’s easier to control the indoor temperature. Since the home heating and cooling unit does not have to run as often to maintain the right temperature and humidity level, less energy is consumed. That lower energy usage means the monthly utility bills are less than they were before. As our siding contractor Woodbridge VA will point out, vinyl siding is a cost-effective choice. It compares favorably with other siding options. In some cases, it’s lower than other siding and provides more benefits. While price is not the main factor, it’s nice to know that vinyl siding comes with a price that’s more affordable. Our team is ready to help homeowners in the Woodbridge area explore options for new siding. Call MidAtlantic Contracting today and schedule an appointment. It won’t take long to choose the product, obtain a quote, and schedule a date for the siding installation.